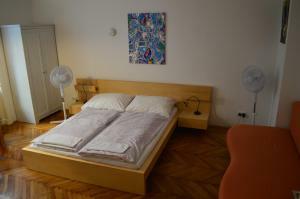 The location, the cleanliness, the spacious room, confortable bed. 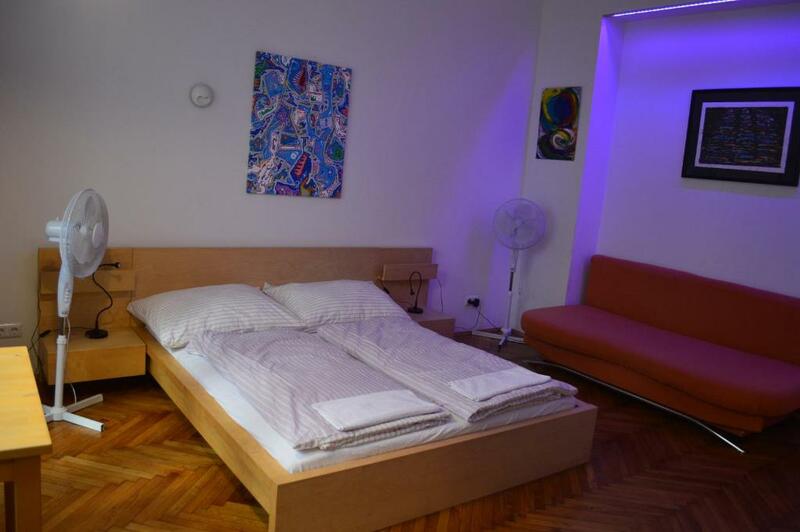 Clean room, nicely decorated with paintings and a purple neon, looks better than in pictures. The area is really nice, lots of bars, cafes and eating places around and very close to the metro, 15 minutes to the center. The hosts were very polite when contacted on the phone and were nice to clear up an initial misunderstanding. Don't be put off by the first outside impression.The unit was very comfortable and so convenient.The unit is close to metro, tram and many walkable sights.We got an 8 day pass on the metro and used it many times a day....it was so easy. 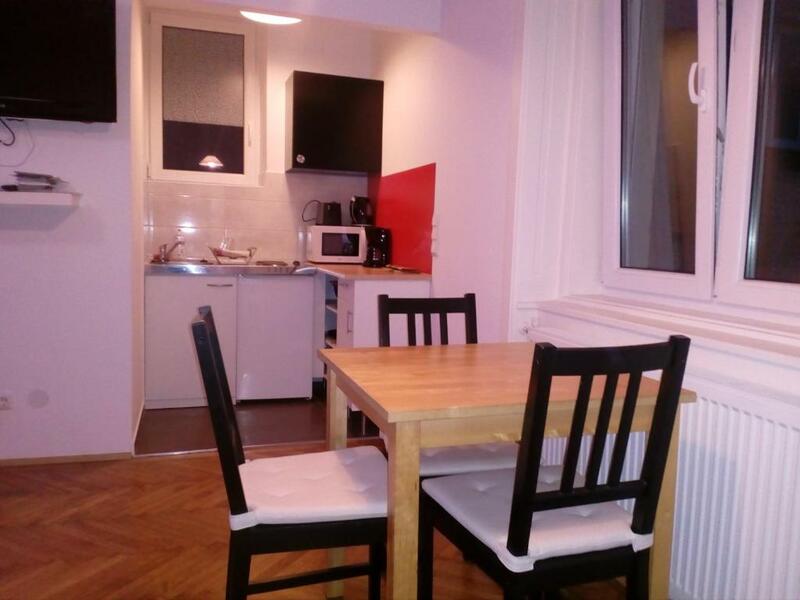 Perfect location near the metro and reasonable walking distance to the center. Budget friendly with all the necessary equipment. Perfect base for my attendance to the Vienna Marathon. I particularly appreciated the late checkout at 15, which allowed us to leave in the morning without the stress of packing luggage, and taking a shower after the race. I like the value you get for the money. The apartment was clean. Close to the subway and i had zero problem. I strongly recommend this apartment especially for those who wants a nice place to sleep at nights. Hosts were very good, though upon arrival we waited for almost 2 hours for the keys outside the apartment but I believe it was there genuine problem as the owner had to rush somewhere in an emergency but they accepted this gladly so it was fine for us. 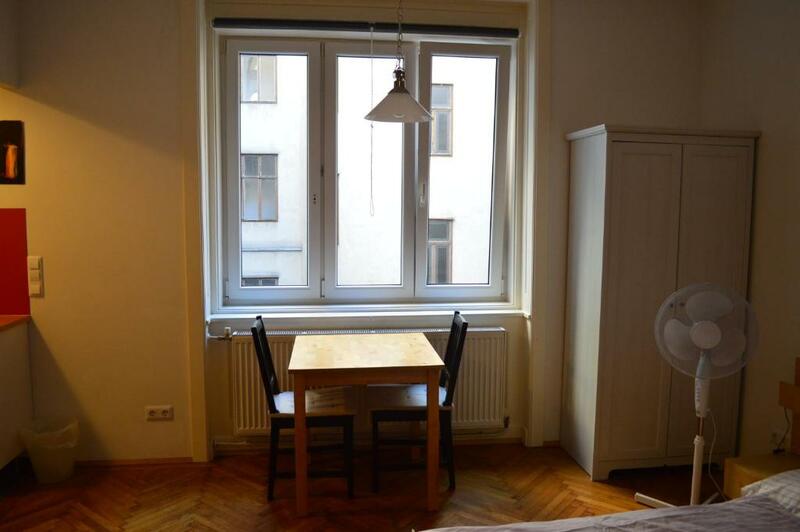 Perfect room, clean apartment, though bit far from city center but connected well with public transportation. Recommended place to stay. Nice spacious room with kitchen. Apartment and bathroom were very clean. The host, Gottwald was lovely and met us earlier with keys. He also recommended a lovely cafe nearby. Great communication. 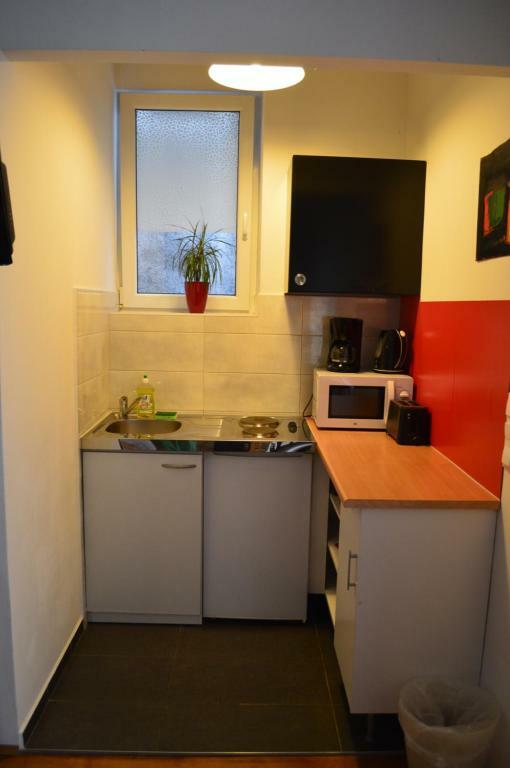 Apartment has kitchen with cutlery, microwave, glasses etc. Very handy! Lokalita ideální, blízko MHD, přesto klid. Komunikace excelentní Vybavení zcela dostačující, příjemné, čisté. Lock in a great price for Central inner courtyard apartment – rated 9.1 by recent guests! Central inner courtyard apartment is located in Vienna. The property is a 9-minute walk from Wiener Stadthalle. 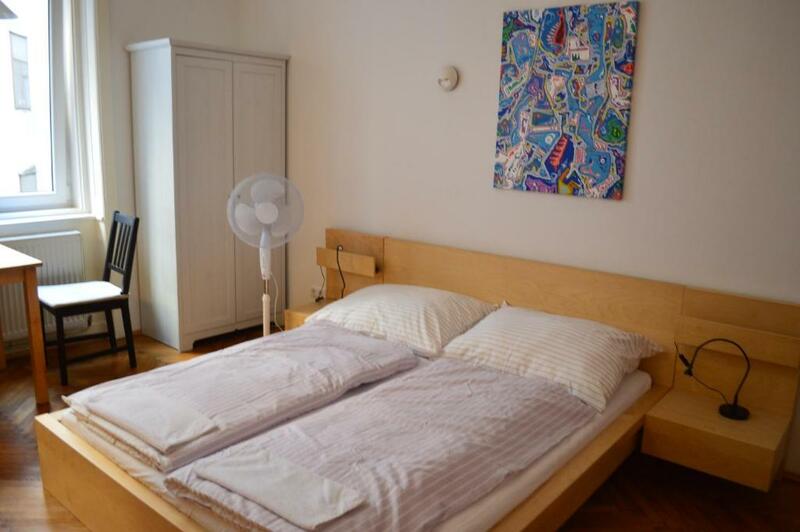 This 1-bedroom apartment includes 1 bathroom equipped with a shower. 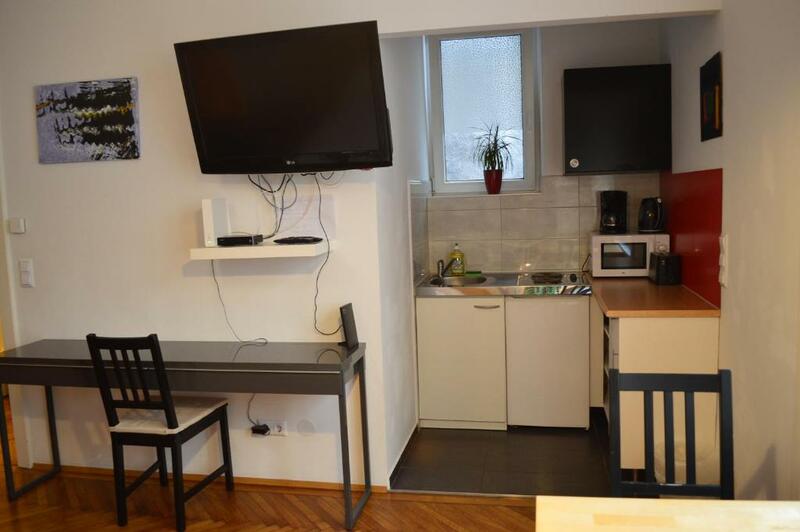 There's a dining area and a kitchen complete with an oven and a microwave. Speaking German and English, staff will be happy to provide guests with practical information on the area at the reception. Haus des Meeres is 1.3 miles from the apartment. Schwechat Airport is 14 miles away. 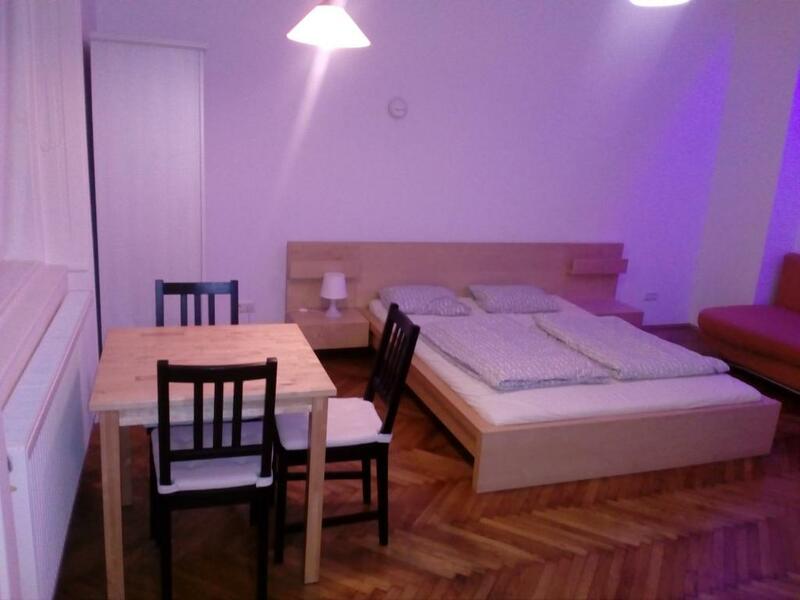 When would you like to stay at Central inner courtyard apartment? Beschreiben Sie das Besondere Ihrer Unterkunft, z.B. die Geschichte Ihrer Unterkunft oder wodurch sie sich von anderen abhebt. Erzählen Sie uns etwas über sich! Was machen oder sehen Sie gerne? Haben Sie besondere Hobbies oder Interessen? Erzählen Sie uns, was in Ihrer unmittelbaren Umgebung interessant ist. Was gibt es beispielsweise zu entdecken oder welche Aktivitäten bieten sich an? Welche Orte gefallen Ihnen in Ihrem Viertel besonders und warum? House Rules Central inner courtyard apartment takes special requests – add in the next step! Please inform Central inner courtyard apartment of your expected arrival time in advance. You can use the Special Requests box when booking, or contact the property directly using the contact details in your confirmation. A bit of noise from some loud neibghours but it stopped in the evening. Cleaning tax did not appear in the initial price on booking.com, but the hosts promised to fix that. I did get a cold shower a couple of times after showering second...not sure why. It's not a beautiful old building in the Alstaht but the price reflects that. The floor is a little creaky, it is difficult to walk without waking up others during the night. Coming with a car, parking is also a tricky topic, but finding free spaces during weekends is possible on the other side of the avenue. During my 4 night stay at the property my only problem was a noisy neighbour with his barking dog. But it was noisy for only 1 single night. Other nights i had perfect sleep.